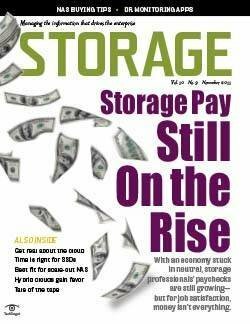 Our fifth annual Storage Salary Survey finds that time in the storage trenches is paying off with bigger salaries. 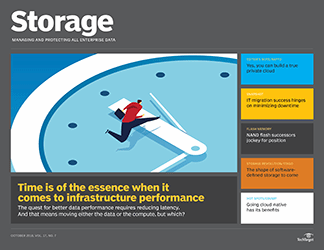 However, stress levels and workloads are also rising, as respondents have to manage more storage with less money and increased scrutiny from upper management. 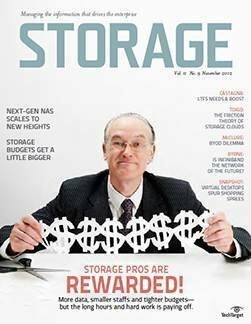 Our exclusive 2007 storage salary survey tells you where the highest paying jobs are and what type of storage pros companies are looking to hire. 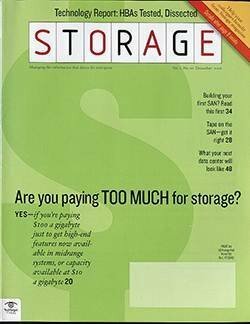 Those who manage and divvy up storage are in demand, and their salaries are rising to reflect that, according to our 2007 annual Storage magazine Salary Survey. 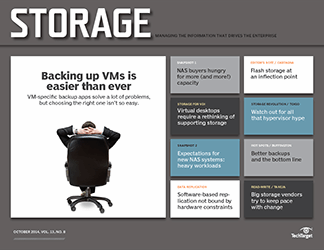 At the same time, some participants this year say stress levels and workloads are soaring as they manage more storage with less money and increased scrutiny from upper management. The average salary for the 250 respondents who completed our survey this year jumped to $84,226. 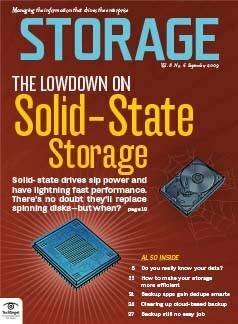 This is approximately 4% more than last year, and an 8% increase vs. our 2005 survey of IT staff members who dedicate some or all of their time to storage. 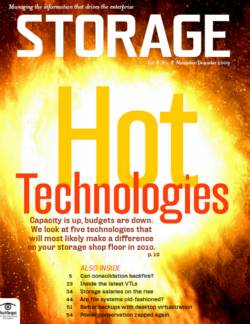 As our previous salary surveys documented, time in the storage trenches pays off. 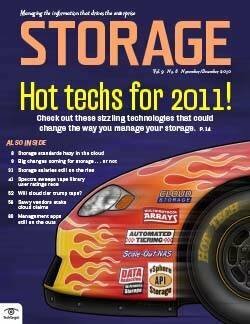 Those respondents with more than 10 years of experience dedicated specifically to storage receive an average of $95,811. 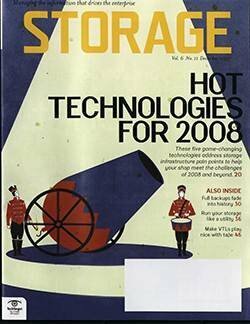 In contrast, those with more than 10 years of general IT experience have an average salary of $89,764. 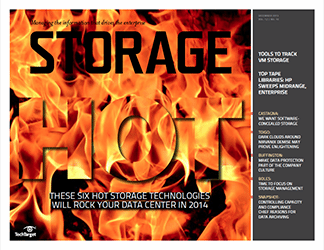 We asked Storage readers to tell us what they liked most and least about their jobs. Here's a sampling of some of the most popular responses. 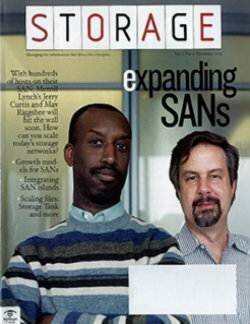 SAN: "Working on the SAN. That's the favorite part of my job." 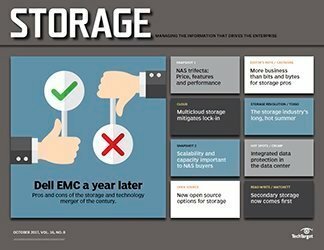 Dynamic: "There is a lot of new technology and I like the ever-changing environment." Flexible hours: "Flextime and the ability to work remotely." 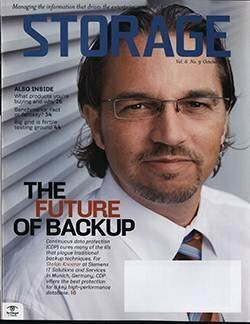 Respect: "I love the fact that we have a dedicated storage group to handle storage and backups." Freedom: "Ability to make critical decisions and the freedom to work with no management hassle." Commute: "It's 15 minutes from my house." 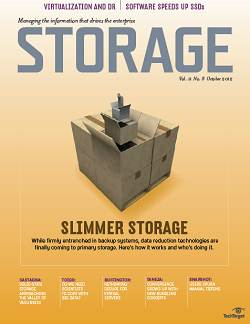 Variety: "Designing, zoning, allocation, troubleshooting--getting to do it all." 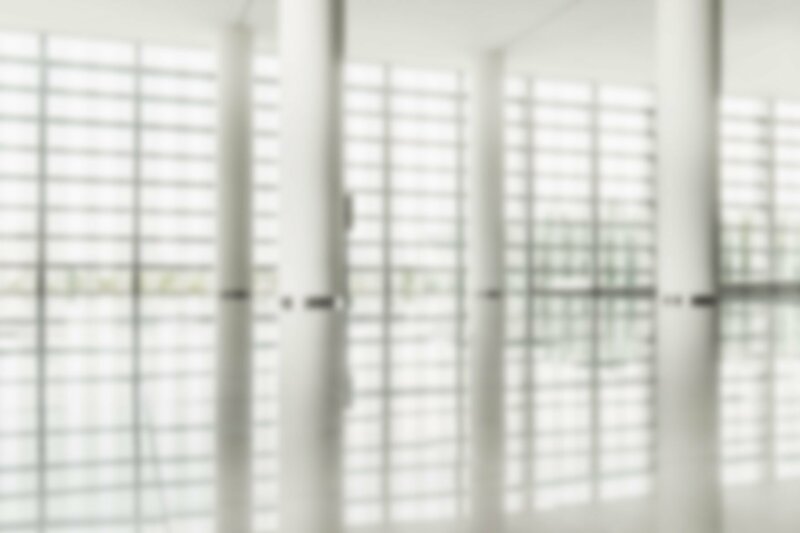 Great benefits: "My 401k plan is the best I've ever seen." End-user issues: "People who are clueless with regard to IT." Overwhelming workload: "Stress levels rose with layoffs." Opportunities: "There's a lack of room for advancement at my company." 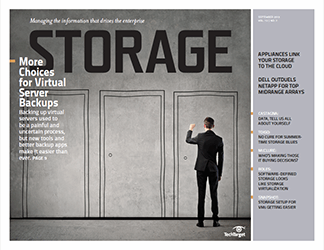 Executive support: "A lack of understanding of technology by executive group." Politics: "There are business decisions made to serve political needs." 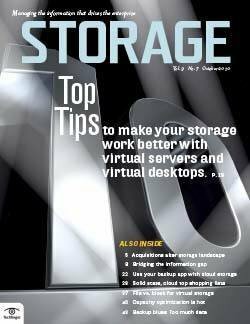 Tape: "Anything to do with tape backup." 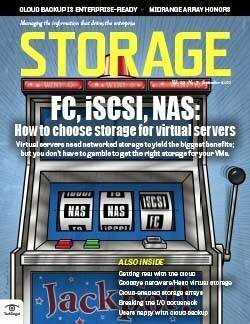 Chaos: "A lack of procedural requesting of storage; lack of a [project] prioritization process." Documentation: "Administrative housekeeping and documentation." 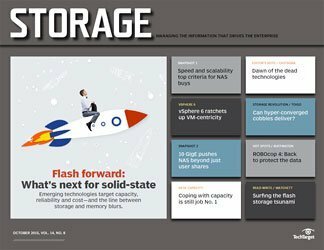 Rapid growth: "We cannot keep up with storage growth." 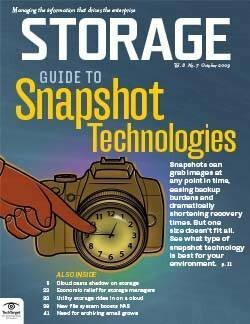 Outdated gear: "We need new equipment." 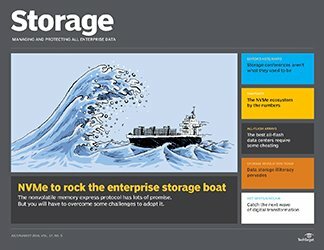 If you have any doubts about the viability of a storage career, or the value of SAN experience, Kim Greene's career path should convince you otherwise. 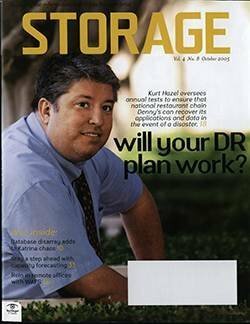 The 36-year-old went from a contract worker and SAN project director to his dream job as the lead storage professional at Paramount Pictures, Hollywood, CA. 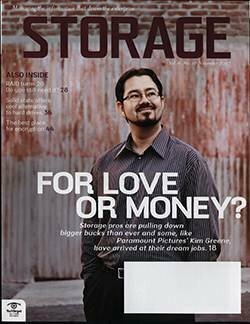 "I finally found a career path I absolutely love," says Greene, who works in the Pacific region, where the average annual salary in 2007 for Storage's Salary Survey respondents was $94,457, second only to the $94,864 reported by Mid-Atlantic respondents. "Of course it's great to have a better salary," says Greene. 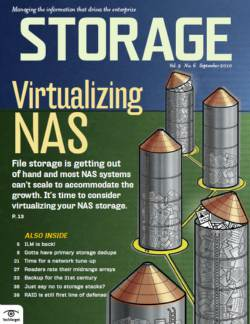 "But I love it [working on storage] because it's always a challenge and never boring." 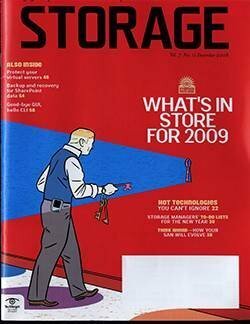 Like 72.9% of our survey respondents, Greene has more than 10 years of IT experience. 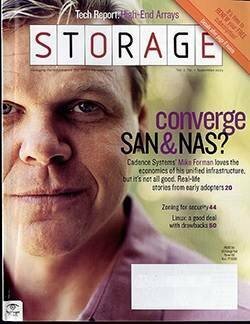 In the last 36 months, though, Greene has discovered his passion and talent for SAN configuration and design. 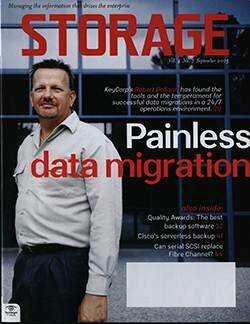 Currently studying for his Cisco Certified Internetwork Expert certification, Greene is now a self-described storage geek. 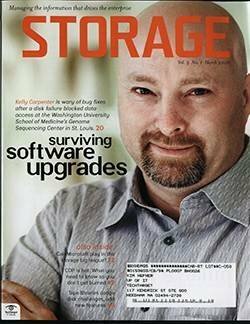 "Everything I do is related to storage management," says Greene, whose title is senior systems engineer, storage. It was while working at a smaller studio, says Greene, that he was lucky enough to be named a front-line player in a big SAN project at Paramount as a contract worker. 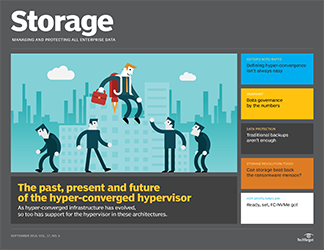 "We had a 30TB migration and I was involved in every aspect of it," he says. "Managing the project, the zoning, the switches, knowing the rate types for particular applications ... because I got into that level of detail, I really, really enjoyed the work." Then, he says, a full-time job opened at Paramount, the only major film studio still headquartered in Hollywood. Greene jumped at the chance. In our survey, media/publishing companies pay an average of $97,000, second only to the vertical market of IT services, which ranks first with an average salary of $98,767 (see "Average salary by industry," below). "I love walking through the studio at times," says Greene. "There is a lot of history here." He and his wife enjoy some free, early movie screenings on the Paramount lot sometimes, he says. But the truth is Greene would probably rather talk about masking and mapping than movies. 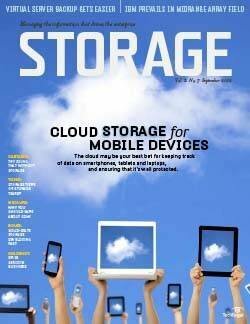 "Being a global company, we have some systems, like television applications, that have international users,'' he says. 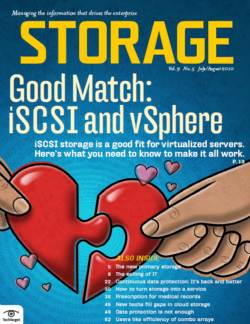 "Sometimes that adds complexity when it comes to maintenance and minimizing impact on users. I like that global perspective." 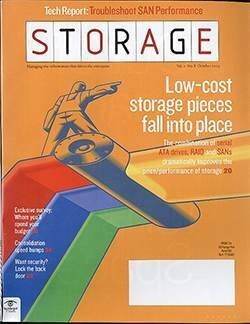 Today Greene manages approximately 200TB of storage in two Los Angeles locations and a disaster recovery site in New Jersey. 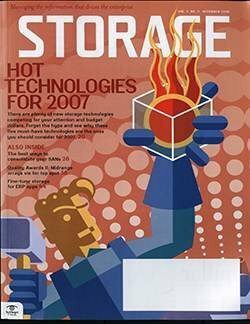 Our 2007 Salary Survey shows that salaries increase as the number of terabytes managed rises; for professionals managing less than 1TB, salaries average $50,667. 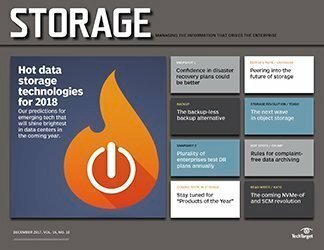 Between 10TB and 99TB, salaries jump to $81,942. 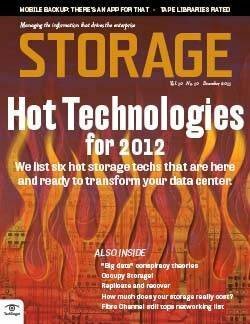 And the average salary for managing between 100TB and 500TB is $96,704. 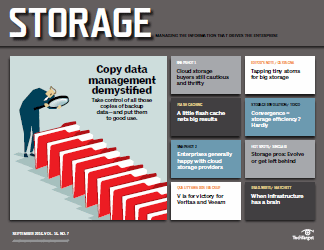 At the top of the terabyte range, IT professionals managing more than 500TB receive an average annual salary of $101,514 (see "Average salary by storage capacity managed," above). 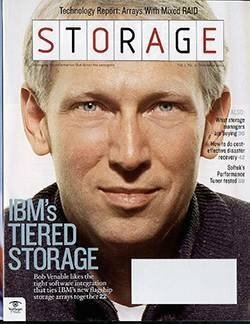 Greene isn't in a group dedicated specifically to storage--like, for example, his Paramount colleagues who work in the SAP group. 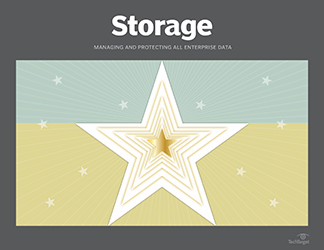 Overall, the number of firms in our survey with dedicated storage teams grew vs. last year, and larger firms with higher revenues were more likely to have dedicated storage teams. 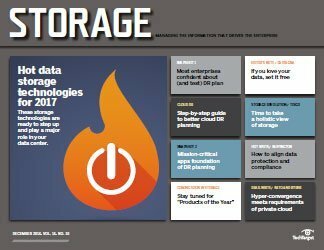 Firms with more than $10 billion in revenue were those most likely to have dedicated storage groups. 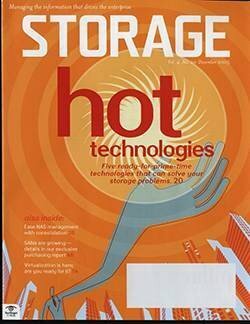 In 2006, 61% of super-sized firms in that sphere had dedicated storage teams; in 2007, 71% have them. 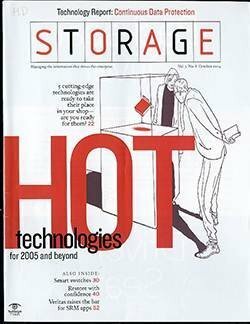 In contrast, only 23% of 2007 respondent firms with less than $50 million in revenue have a dedicated storage group (see "Percent of companies with dedicated storage groups by company revenue," below). The more revenue a company has, the higher the salary it pays, according to our survey. Respondents at companies with more than $10 billion in revenue report an average salary of $96,140, while those at firms with less than $50 million in revenue are paid an average of $71,127 (see "Average salary by company revenue," below). Companies are also apparently willing to pay more for hands-on experience than for an undergraduate diploma, something that has long been true in the IT world. Respondents holding college degrees weren't paid more than those without them, according to our survey. However, IT professionals with advanced degrees (Master's and Ph.D.) do reap big returns on that educational investment. Those respondents earn an average of $103,637, approximately $20,000 more than the high school and college graduates who responded to our survey (see "Education vs. Salary," below). Overall, it's the number of years on the job that matter most. Survey respondents with between six years and 10 years of experience--regardless of whether they held a high school diploma or a college degree--earn about 45% more than relative rookies with just two years or fewer under their belt. In our survey, college graduates with fewer than 24 months of experience earn $68,898. With three years to five years of experience, the average salary jumps to $83,685; and with six years to 10 years of experience, the average is $92,752. 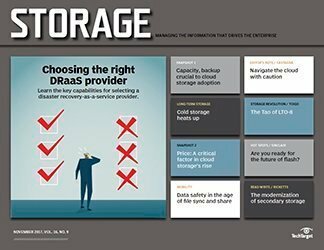 In storage, the value of certifications is tough to nail down, and the same is true throughout the IT industry. 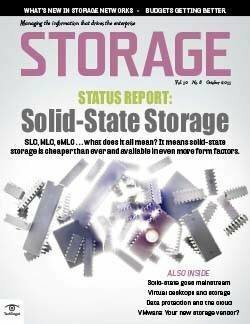 Indeed, one survey respondent says he knows people who are careful not to list too many storage vendor certifications on their resumes. 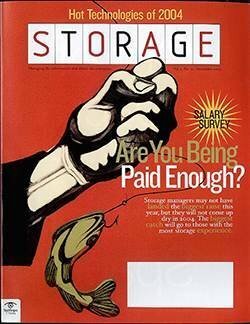 Despite the whopping storage growth at Jack Henry & Associates Inc., John Hill's salary is nowhere near some of the highest earners who completed Storage magazine's annual Storage Salary Survey. Hill, whose annual salary is $61,000, accepted a significant cut in pay so he could take advantage of the exceptional health benefits at the Monett, MO, firm. Hill and his wife have four children; the youngest three are autistic. "Jack Henry pays your entire medical bills" without employees making any contribution, says Hill. 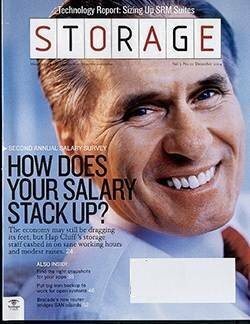 "And my co-pays are very, very low. That about sealed the deal for me." Hill did the math and figured that Blue Cross Blue Shield benefits paid in full by Jack Henry could save him up to $20,000 annually. Without medical benefits as comprehensive as the ones Jack Henry offers, says Hill, he would pay approximately $600 a month for a single prescription required by one of his boys. 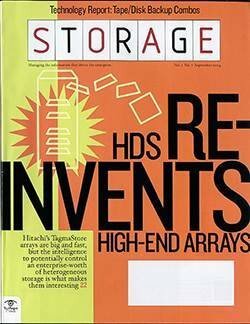 Hill, who describes his job satisfaction as "extremely high," says his job is best described as storage and system administrator, although "the company really doesn't have titles," he explains. "It's a Jack Henry corporate culture kind of thing." 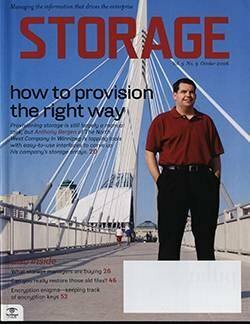 Steve Camps is a storage professional who took a big pay cut at Michigan Tech University in Houghton so that he could escape the round-the-clock demands of a large corporation. 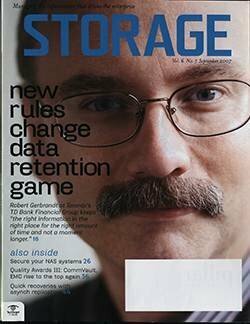 At a prior job, Camps was manager of a data center and had a dedicated storage team--and, like his technology systems, he had to be available 24/7. But then the 52-year-old Camps had an opportunity to move home to Michigan, where he and his wife now live a short drive from Camps' parents. The catch is that Camps earns $57,965, about half what he used to make. 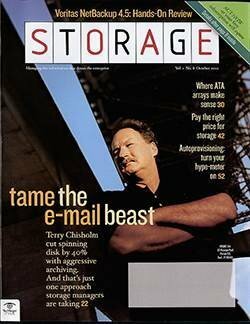 "I got away from the rat race," he says. "I fish regularly. I ice fish. I snow ski. I live in the woods and I watch the bears in the backyard. We are a little short-staffed, so the stress is a little high, but it's manageable. It's not like the old job where I left for the day and I had to take a laptop." 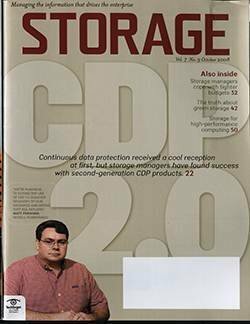 "I think a storage certification [like a Brocade or a Cisco] might help as long as you don't have too many of them," explains 33-year-old Eric Hess, a senior systems engineer at the College of American Pathologists, a Northfield, IL-based not-for-profit organization. He has "a ton of certificates," but he doesn't brag about them. "I've been told the more you have the less appealing it is because you are then like a jack-of-all-trades, but not a master," says Hess. 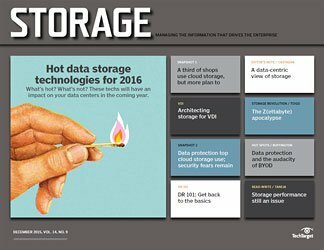 In general, the value of many IT certifications has dropped in recent years. In our survey, respondents holding two certifications earn an average of $87,958, approximately $3,000 more than those without any certifications on their resumes. 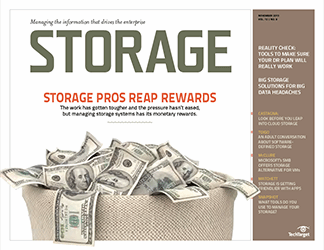 Professionals with four vendor certifications did see a salary spike to $110,000, but salaries slip when the certifications number five or more (see "Average salary by number of vendor certifications held," below). 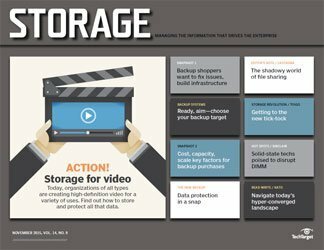 What Paramount Pictures' Greene and Hess have is real-world SAN experience, and those skills are worth more than any storage certification, says David Foote, CEO and chief research officer at Foote Partners LLC, a Vero Beach, FL-based research firm specializing in IT skills and compensation. 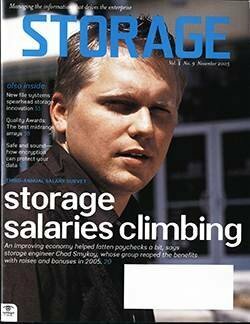 Foote's data shows companies are paying on average 7% to 14% more for employees who bring SAN experience to the job. Companies need to "find people to design and implement systems," says Foote, adding that a strong demand for SAN skills is emerging in small and midsized companies. Tim Belfield, senior technical analyst at the Donald Danforth Plant Science Center, left a private corporation six years ago for his current job at the St. Louis nonprofit. His $80,000-a-year compensation is just above the $77,287 average reported by our Midwest salary survey respondents (see "Average salary by region," below). The top two paying regions in our survey are the Mid-Atlantic ($94,864) and the Pacific ($94,457). Canada ranked the lowest, with an average salary of $75,545. Throughout his career, says Belfield, he has always moved into jobs that paid more than the last one. The Donald Danforth Plant Science Center job is no exception, but it represents his first move to a nonprofit. In our 2007 survey, the average salary reported by respondents for government/nonprofit jobs is $77,645. For his part, says Belfield, his current job represents his dream job. A research-driven atmosphere, four weeks vacation at the outset, and a short and easy commute were all draws for Belfield. Ultimately, as several survey respondents agree, it's the corporate culture that keeps them satisfied (see "The good and the bad"). "There are procedures you have to follow, but there's less bureaucracy in general," says Belfield. 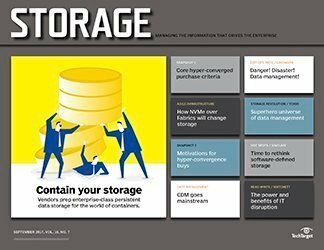 At the same time, he says, monitoring the nonprofit and academic worlds--which rely heavily on sharing data--can be challenging. "These are scientists," he says, "and you can't lock them down as to where they can go and not go." 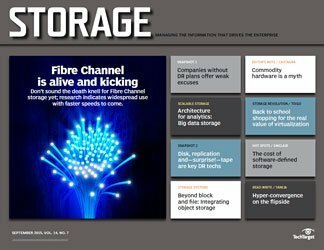 Belfield's team manages approximately 4TB of storage and is about to embark on a project to replace its legacy equipment. The surprise, says Belfield, is that he has to justify projects--from an ROI perspective--more now than he did before. "Your projects are not just given to you," he says. 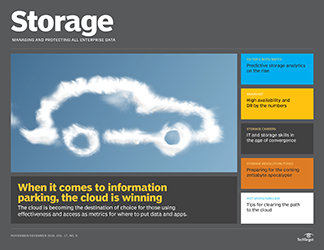 When it comes to IT budgets, it's not true that high salaries track with big budgets. For example, our survey shows the average salary for respondents in shops with budgets greater than $10 million to be $99,727--approximately the same as that for shops with budgets ranging from $1.1 million to $5 million ($99,442). And that's higher than the $88,647 salary paid in shops with a budget in the $5 million to $10 million range. 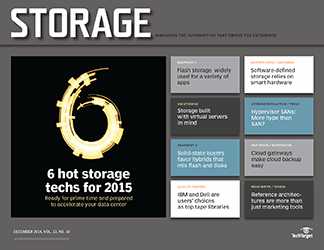 The good news, according to our survey, is that salaries swell as storage demands increase. 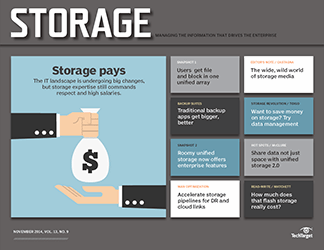 Respondents at companies that had storage demands grow by more than 50% over the last year have an average salary of $94,480 vs. $67,000 in shops where there was no storage growth. 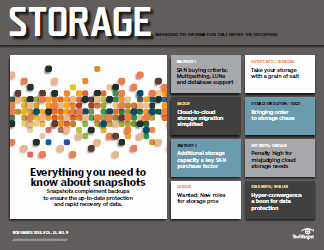 Nearly half of our respondents saw their storage needs grow somewhere between 10% and 30%. 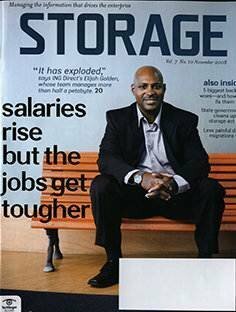 Since John Hill, 39, arrived at Jack Henry & Associates Inc. in 2006, the company's storage needs have grown 112%. The company, located in Monett, MO, automates business processes for more than 8,700 clients, including Bank of America and a vast majority of U.S. credit unions. "The nice thing is that Jack Henry is growing," says Hill. "We'll be hiring another three people [in IT] before the end of the year." 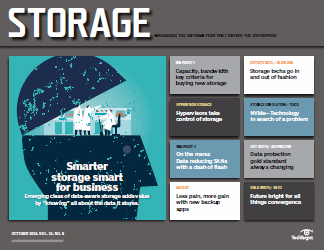 Hill sought out the job at Jack Henry because of the company's generous health plan and he hopes to remain there a long time, where he says the flat organizational structure provides opportunities to grow as a storage manager. 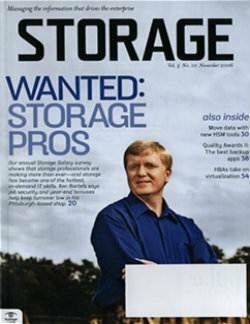 Like 66% of our respondents, he plans to continue to pursue a career in storage. 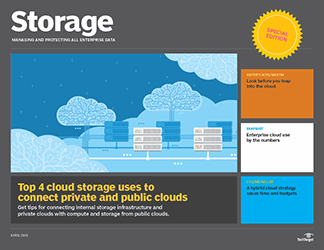 The remaining 34% of those surveyed say they plan to leverage their storage experience to move into another area of IT. 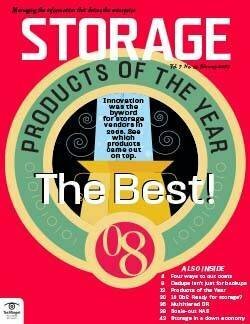 Mike Dunmore is the primary storage expert at a Canadian law firm where he has worked for nine years. One reason for his job satisfaction, he says, has been the opportunity to develop his expertise. Dunmore, 32, started with his current employer as "just an operations technician." 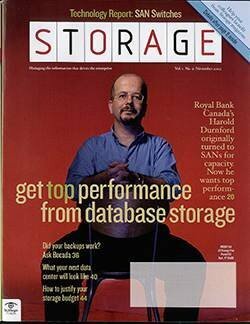 Today, he says, "I'm a systems recovery specialist. 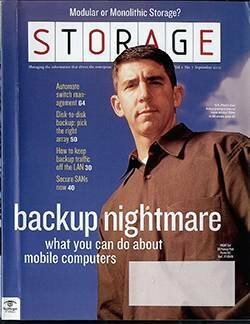 My main function is I look after backups in five of my offices. 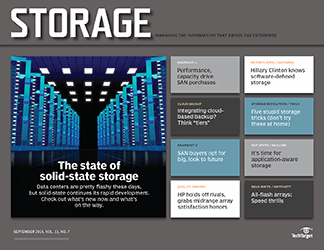 We implemented a SAN last year [with] Tier 1, 2, 3 disk storage and a tape library." 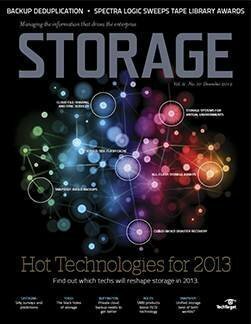 As a result, he says, his is one of the "heavier workloads" among his IT peers, but his job satisfaction is high. "If I was still in the same position I wouldn't be here any longer," says Dunmore. 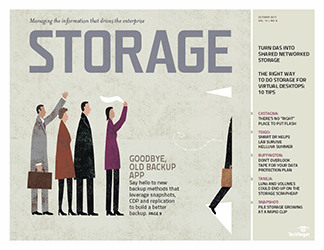 "But I like the people I work with--and for--and I'm getting new storage experience. To me, that's the point of it all."